Jan Traylen: The Tower: Landscape photographs in B&W and colour. 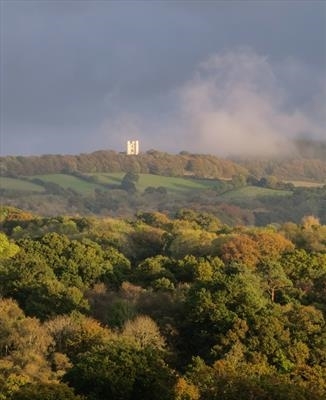 The Haldon Belvedere tower standing on Haldon Ridge amongst misty clouds one evening in Devon. One evening in Devon I saw this scene with mist spreading over the ridge and a canopy of desiduous trees.